The volcanic Caribbean island of Montserrat is gradually recovering from the series of eruptions which rocked the island. Residents and tourists are returning and rebuilding is underway. Surprisingly, many areas of the island are undamaged and lush forests still cover the hillsides of the north. The capital town of Plymouth, now abandoned, rests under 30 feet of ash. 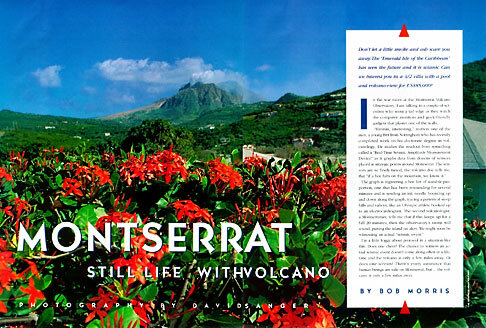 This story was photographed for Caribbean Travel and Life and written by Bob Morris.